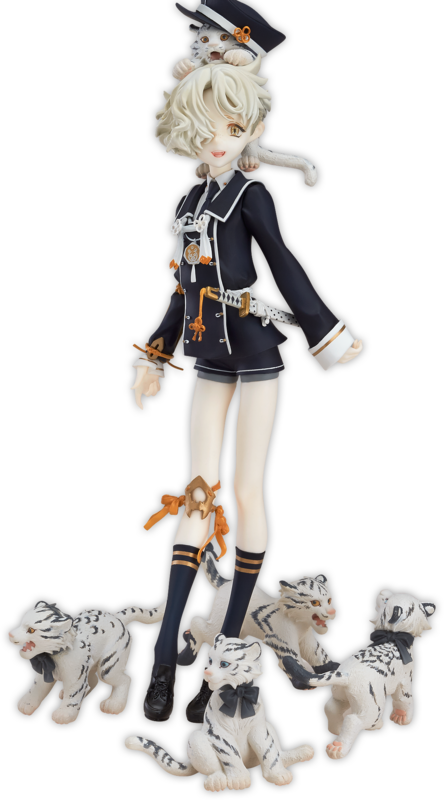 1/8th scale figure of Gokotai based on his standard standing pose from the game. little tigers each with unique patterns, poses and beautiful eyes to display around him. 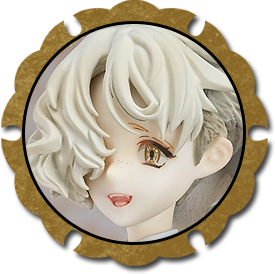 Gokotai's hair has been sculpted in such a way that it looks like it should be soft to the touch, and his pale skin tone has been faithfully preserved in figure form along with all his other characteristics. The use of light color in his eyes has also been sculpted to look just like the original illustration. The pieces of armor on Gokotai's arms and legs have a heavy, metallic appearance to them and the orange ribbons tied around them make them stand out against his skin even more, while also keeping him protected. The sculpting and paintwork have been carefully tuned to contrast the different textures and materials seen on the design. Enjoy Gokotai from all sorts of angles! 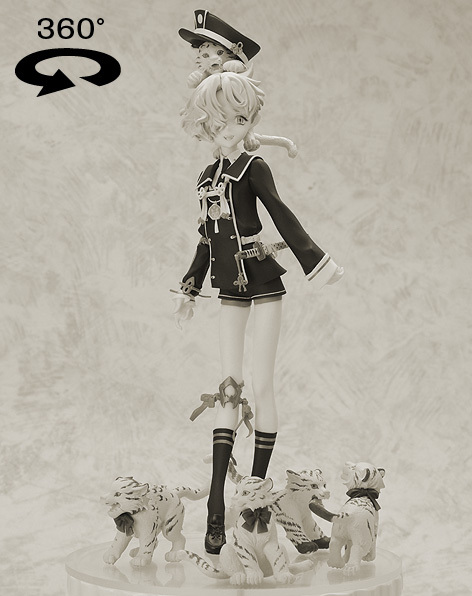 The little tiger on top of Gokotai's head as well as those playing around his feet have all been sculpted with short, fine fur and cute round paws. 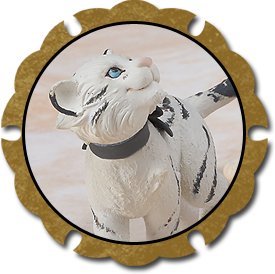 Each has a different pattern and their cat eyes stand out beatifully against the white fur. Each has their own cute highlights, so be sure to take a close look at all of them! 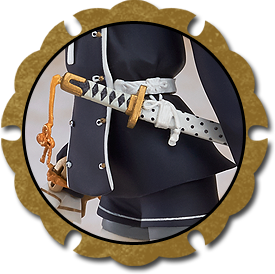 The sword Gokotai has sheathed at his hips, the danity fingers coming out from his large sleeves and the various little decorations on his outfit which have all been carefully captued on the scale figure. Take a closer from any angle you please with the rotatable view below! Click and drag to rotate the image to any angle you wish to see! 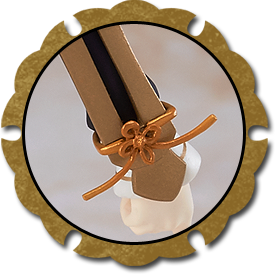 Gokotai Sword Charm as a bonus! 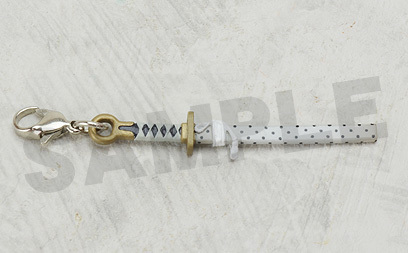 a Gokotai Sword Charm as a bonus! Don't miss out! *Bonus will be sent with your product at release. Photos of the product on this page are a painted prototype. The final product may differ.